Sunday Quote!- Suspense Author Dean Koontz on Evil and Satan | J.W. Wartick -"Always Have a Reason"
Every Sunday I offer a quote from something I’ve read recently. It’s usually from a book, but here I’m highlighting a quote from an interview. Be sure to check out the other Sunday Quotes and let me know your thoughts. I don’t shy away from having violent things happen, but I don’t dwell on it. I feel, as a Christian, writing books that have a moral purpose to them, it’s actually incumbent upon me to write about evil, because this kingdom is Satan’s and he is the prince of the world. It’s here and it’s among us. I think Koontz’s comments are well-worth considering. Evil is something that is foreign to this world. Satan and other spiritual powers are working to perpetuate evil in this world. We must not close our eyes to it, but rather, “acknwoledge it, face it, and defeat it” by the power of Christ. I recommend Koontz’s works to you. Chatting with Koontz About Faith– You can read the whole interview here. It is worth the time. 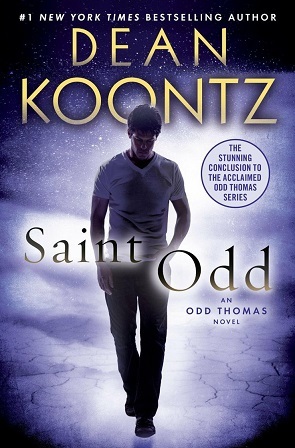 Saint Odd– Read Anthony Weber’s post about the final book in the Odd Thomas series. « Really Recommended Posts 12/4/15- Star Wars theology, women in the early church, and more! I haven’t read anything by Dean Koontz; I think I’ll read one of his books. Do you have a recommendation? The vast majority of Koontz’s works are stand alone novels, so you could start almost anywhere. However, if you are particularly interested in his books that have worldview ideas most clearly shown behind them, from the ones that I’ve read I’d recommend From the Corner of His Eye or Innocence as a great place to start.